Valentine’s Day conjures up images of hearts, flowers, and boxes of chocolate for most, but not for Yost. Yost is the father of Valentine Metzler, an ancester on my mother’s side of the family, born on Valentine’s Day, 1792. This past weekend, nearly 500 Metzlers from far and wide gathered near Ephrata, Pennsylvania to celebrate this special Valentine. He, like many of his descendants, was in love with God’s green earth, a grateful steward of fertile land where his roots grew deep. Born in the Canton of St. Gallen, Switzerland, young Valentine with his family, left the homeland. 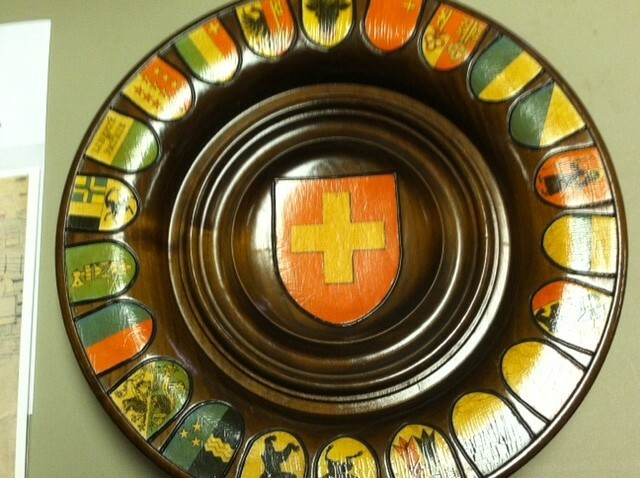 Bearing the memory of earlier religious persecution during the Thirty Years’ War in the 1600s and needing more land, the Metzlers, Anabaptist Mennonites, emigrated from Switzerland to the Palatinate of Germany with the promise of religious freedom and fertile farm land. Caught between the warring French and German troops in the early 1700s, Anabaptists and Mennonites from Switzerland, who settled in the Rhine River region, left Germany. They had had enough. Tired of being caught in the cross-fire between the warring French and German troops, they looked to the New World. They packed up, floated up the Rhine to Rotterdam, Holland, where wealthy Mennonites assisted them with money and provisions to set sail to America via Cowes, England. Exposed to rats, disease, thirst, and starvation, many did not survive the voyage across the Atlantic to Philadelphia. In 1677 William Penn had visited Germany to entice people to come to Pennsylvania, assuring the Swiss transplanted to Germany that there were many similarities between Pennsylvania and Der Pfalz including the beauty of the Poconos and Alleghenies. Later, the family of Yost Metzler, Valentine’s father, along with others, responded to the lure of freedom to worship freely and own land, become successful farmers and make Lancaster County blossom. The 275th anniversary at Metzler Mennonite Church (June 14-15, 2013) commemorated the young Valentine’s immigration in 1738 to America. He married Anna Nissley in 1749 and prospered on a 90-acre farm in Manheim Township, raising an exemplary family of nine. Along with other peace-loving Mennonites, Valentine had a non-combatant stance during the Revolutionary War. Thus, he was viewed with suspicion by both Patriots and the British. Yet early Pennsylvania records show that he donated horses and wagons to the colonial army. Valentine, nicknamed Valti, was a weaver, farmer, and in the 1760s he was ordained a minister in the Mennonite Church, later becoming a bishop. 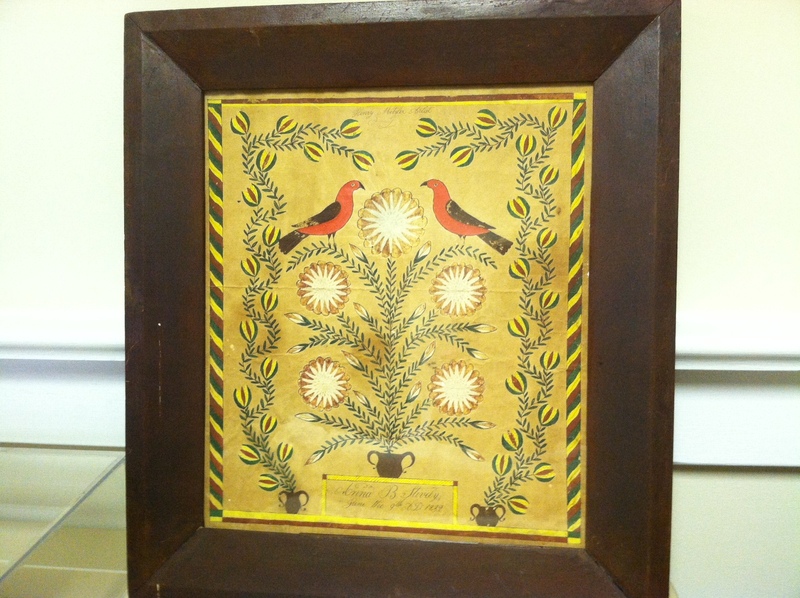 Henry Metzler, Valentine’s fourth son, was a Pennsylvania farmer with an artistic flair. 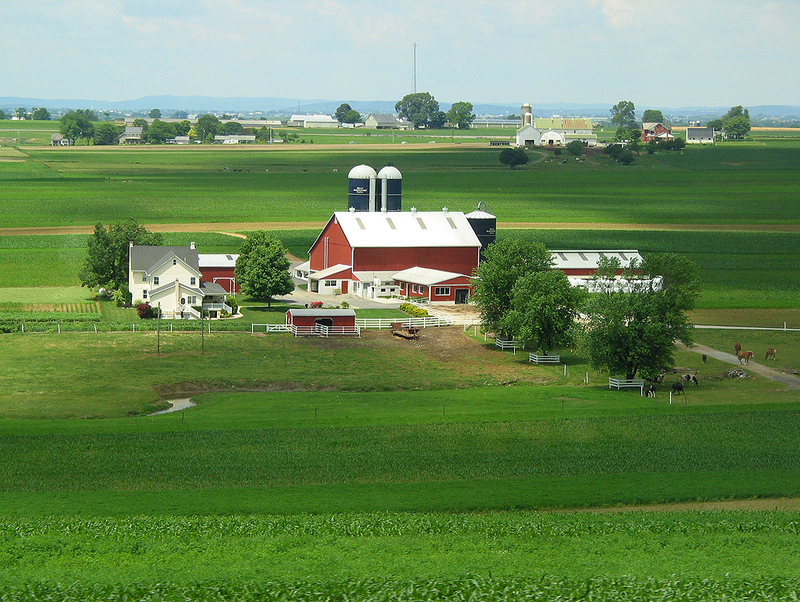 The homestead is now a dairy farm operated by Amish near Strasburg, Pennsylvania. 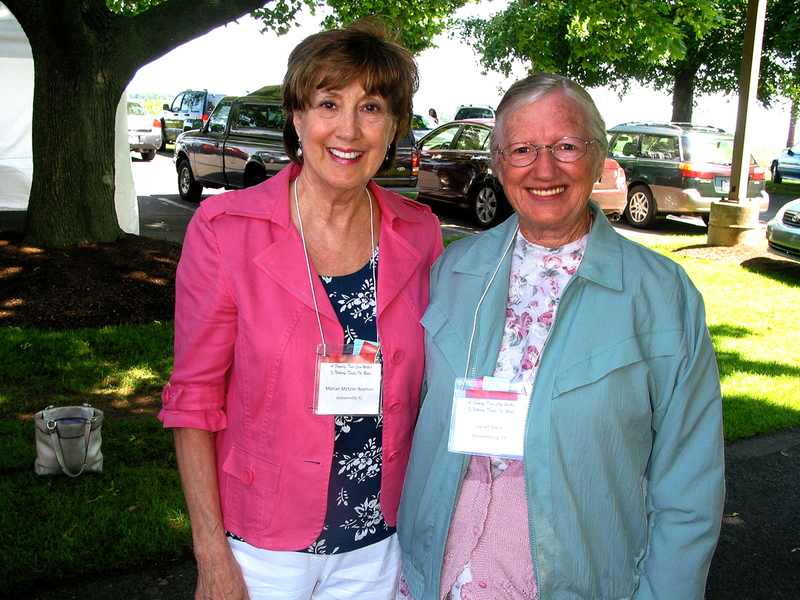 At the 275th Anniversary Celebration, plain and fancy Metzlers from Lancaster County, all over eastern United States, Wisconsin, Oregon, and even two provinces in Canada met, visited, ate, and sang together. “The course of true love never did run smooth,” Shakespeare: A Midsummer Night’s Dream. But it never fails to fascinate. Excellent summary of Valentine\’s children in America and how they got here. The Hersheys and Hesses, my two family lines, have much the same story to tell. I\’m hoping to learn more and connect with the Hershey celebration of 300 years in America in 2017. With your permission, I\’d like to reblog this post. You are doing such valuable work here, Marian. Thank you. Marian, Shirley tempted me with her reblog and here I am. I\’m so glad I came because this was a trip down memory lane for me. Years ago my husband and I, together with his brother and his wife, traveled to Lancaster, PA for a vacation trip. While in the area, we visited Ephrata, where I bought a needlework pattern of a fractal which hangs in our bedroom, and in Strasbourg we purchased an Amish quilt made by the most loving woman I\’ve ever met. Her admonition as we left her tiny shop was to use it — it wasn\’t made to just be looked at. 🙂 Thank you for stirring up memories for me as you shared the history and memories of your family. Thank you for yielding to temptation and then commenting on your experience as well. Lancaster County is a unique place but of course you know that. By the way, I know I have visited your blog because I recognize the theme photo, but now I can add a face and name to your website. Thanks again! As a Metzler descendant myself, one who didn\’t make it to the reunion, I\’m happy to experience the gathering this way. Thank you! I sang along with \”Faith of our fathers/mothers….\” and was interested that, in the video, I could see someone playing the piano, but all I could hear were voices singing! Thank you for visiting my blog–and for noticing. Yes, robust voices in harmony did drown out the tinkly piano. What an amazing history! Thanks for sharing. German-Swiss Mennonites settled mostly in Pennsylvania, Ohio, and other eastern states while Russian Mennonites tended to migrate to Canada. I hope I\’m right. At least that\’s what I have read. Thanks for reading this older post, Darlene, written just after I had started blogging. I understand this post is quite old now, but I still felt compelled to reply. I’ve been doing ancestry research and have found Valentine Metzler in my direct line through my maternal great-great-grandmother Emma (Metzler) Clark. I am especially happy to have found the video you shared, it conjured memories of attending my grandmother’s Mennonite church when I was young and hearing the beautiful voices. I will be showing both my mother and grandmother the video and have no doubt it will bring much joy. Thank you for sharing it! Welcome, Sara. Even if you reach back in time, I still pay attention when people comment. So we are connected through the Metzler line. How cool is that! I hope you will explore other posts. I have published over 370 of them, many about my mother, Ruth Metzler Longenecker, and also others from my paternal side, the Longenecker’s, who emigrated from Europe in the 1730s. Again, welcome, and thank you for reading and commenting.